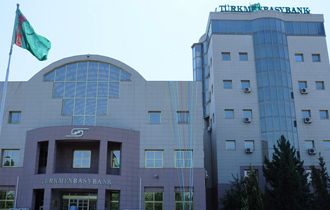 Since December 1, Turkmenistan’s Central Bank and all licensed lenders stopped currency exchange operations for entrepreneurs who trade with foreign suppliers and import products from abroad. The decision, officially adopted in December, has left many payments pending as people cannot get access to foreign exchange. 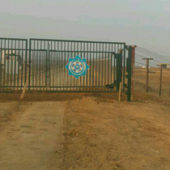 Previously, such applications were decided within a week. Therefore, all new requests for conversion will have to wait until the previous requests are fulfilled. Tellers have advised entrepreneurs to wait, without specifying for how long and for what. Local businessmen, however, believe that the Central Bank will not resume regular currency exchange, but instead return to a double exchange rate for the national currency, the same way it operated until 2007. Against this backdrop, the unofficial rate jumped to 10.5 manats/$1. This is the price at which the population can exchange their local currency in the black market. 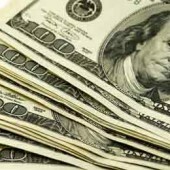 Illegal currency traders have stopped selling U.S. dollars altogether. Several days ago, on January 15, at the bazaar, the exchange rate fluctuated around 9.5 manats/$1. Since January 2015, the official fixed exchange rate has remained at 3.5 manats/$1. The authorities have since reduced the amount of U.S. dollars that an individual can buy at the official rate. Earlier in 2015, the limit was $1,000 but was reduced to $460 in the fall of 2015. Entrepreneurs, especially those involved in trade with foreign suppliers, have also faced increased restrictions. 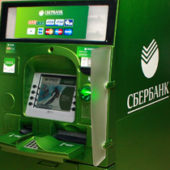 In October 2015, the Central Bank limited automatic currency conversions in manat-denominated accounts and set a limit of 35,000 manats ($10,000) for cash withdrawals. By the end of 2016, banks were only allowed to convert up to 3% of the total value of a contract with foreign suppliers. In January 2017, the limit for cash withdrawals was further reduced by 90% to just $1,000 per month. In June 2017, banks started effectively reducing currency conversions to a maximum of two percent of the value of a contract. 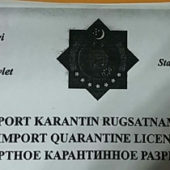 Since the summer of 2017, entrepreneurs must register contracts with their suppliers at the Turkmen Commodity Exchange. These restrictions have caused a significant increase in the price of foreign goods.